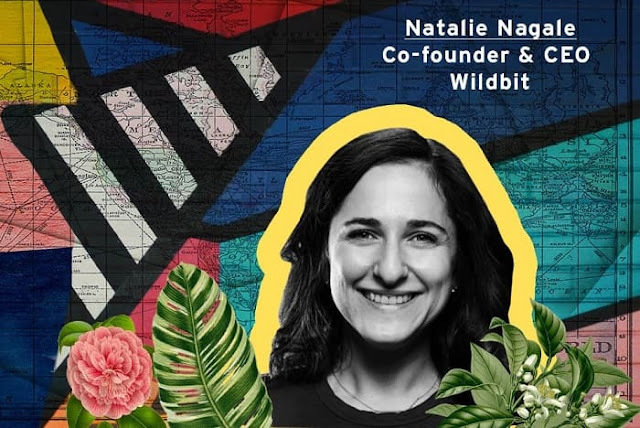 For the last 17 years, Wildbit founder & CEO Natalie Nagale has been running a profitable (very rare these days), debt-free (also rare), and remote software product company. In these busy years, her company has positively touched the lives of 100,000+ companies who love and use their high quality products. Founded in 1999, they are the people behind products like Postmark, Conveyer, and Beanstalk (They just sold their product Deploybot in December 2017). While the advantages of remote work are becoming clearer by the day, Natalie discusses how they’ve managed to navigate the thornier issues of working across multiple timezones and countries. Wildbit has been associated with people committed to a different lifestyle, one that involves working from home, right from its inception. The choice of always having the option to work remotely, for all team members, comes with advantages that may not surface immediately. Winning the talent war has never been more important, and tech businesses are being increasingly pressured to acknowledge the lack of diversity as a major concern and liability. Given this, companies like Wildbit, where anyone from any part of the world can apply for an open position, definitely have an edge. And it doesn’t end there. It has also allowed them to build products that are supported across time-zones, and understand their customers, who are spread across the world, better. To Build A Team That Doesn’t Need To Be Micromanaged, Find people who can focus well. This is possible only with a team of highly self-motivated and disciplined individuals; more so when a large part of the team is working remotely. But how do you put together a team like this? Wildbit’s hiring process does not differ for local and remote candidates. To some degree, she mentions that they have been lucky to find people who have worked remotely in the past, because that experience helps. But what they really look out for is the ability to have razor sharp focus on work. This resonates with their office environment in Philly — it’s not a busy, noisy place. It’s very quiet, you’d almost think everyone is working remotely because they barely see each other, and everyone is focused on their work in their own space. So when people say they want to work with Wildbit because they want to work remotely, that’s usually a red flag for Natalie. She’d like people to want to work at Wildbit because they respect the culture and the company values, the products they’ve built, and the customers they’ve gained. To Get Your Team To Work Together, Look Beyond The Tool And More Into The Other People’s Time. Putting together a team of talented and focused individuals is one part of the challenge. The other, and possibly tougher part, is to ensure seamless communication between them. What are the must-haves to achieve this? The folks at Wildbit use tools like Slack and Basecamp, but according to Natalie, all these tools have the capacity to break if you don’t really understand when to ping someone on Slack versus when to send them an email. She’s a big proponent of using email because it respects people’s time in a lot of ways. The thoughtfulness that makes one stop and think about whether they are asking something to the right person, at the right time, and using the right tool, is what is critical to effective communication. Despite the business tools and processes that may be in place, miscommunication is a reality that most organisations need to deal with. Natalie believes that instances of miscommunication can occur even among local team members; identifying and correcting them is a critical responsibility of a leader. With remote working, communication becomes more asynchronous but it also gives you more visibility into how people respond, and how they interact with each other. According to her, timing is very important, and she’s committed to addressing issues of miscommunication very quickly and openly. This also ties in with the feedback mechanism at Wildbit. Managers often find it difficult to give critical feedback to those working remotely, but Natalie insists that it is no different than dealing with a job not done well locally. Here too, the key is to address things quickly, and to have a culture that’s open and communicative. “I don’t believe in passive aggressiveness or allowing anybody to have a question in their mind on whether they are doing the right thing. When I think the work hasn’t been done well, I get on a call and I tell them that we have a problem that we need to solve together, and ensure it doesn’t happen again.”, she says. Organisations that enable a remote-friendly environment not only deal with frustration over coordination and performance issues, but also tend to have overworked and stressed employees. Research data from UN’s International Labour organisation states that employees working outside the conventional office set up are vulnerable to working longer hours. As someone who’s always been in favor of 8 hour working days, Natalie acknowledges this as an internal struggle and talks about it all the time, reminding people that she expects them to take time off. She leads by example by leaving office on time, taking vacations, and spending time with family. The one thing that she does when she knows someone is working extra hours is checking in more often with them to make sure their personal lives are okay, and they have time away from work to clear their heads, make space for family, hobbies, and other things that are important to them. Building A Work Culture That Supports People Before Products, Yet Doesn’t Compromise On Growth. It is the culture at Wildbit, that revolves around its people, and not its business, that has enabled the company to absolutely nail the remote-working model. The Wildbit team existed even before there was a single product, so the company exists to support the team, and is “product agnostic” as they call it. The flip side to this line of thought is often perceived to be the constricted growth of the company, and as a byproduct of that, its employees. With Wildbit being a flat organisation without any sort of middle layer, one would expect some sort of compromise to the career trajectory of its people. But the fact is that most of the team at Wildbit has been there for a very long time — they just celebrated someone’s 13th anniversary. So how do they retain their folks? That said, Wildbit does not have aspirations to be a huge company from the people standpoint. So scalability is not a pressing issue for them. The biggest challenge according to Natalie, something that is more difficult to tackle than communication, is ensuring that everyone feels a part of this culture; the culture that has taken years to build and is the backbone of the company. With the team at Wildbit being hybrid, there’s a perception that there’s a closer relationship with the local folks than with the remote ones. This is something that they are constantly addressing. The annual retreats they go on are hugely important for this purpose, as they help everyone understand each other’s personalities. They change everything about the way people communicate after they return. A simple automated mail that goes out every Monday asking everyone about their weekend also goes a long way in making everyone feel connected. The Wildbit office in Philadelphia, which is beautiful and spacious, acts as a home-base for the entire team. People working remotely visit often not only for meetings, but also just to catch-up and connect with the others. One of the reasons behind investing in a huge space like this was actually to have an office that the team would be proud of and which could be used to join everyone whenever it was needed. While these are things that many companies do, Wildbit has gone an extra mile to ensure that people feel part of the family — they have hired a person for ‘Operations and People’s Happiness’. They have named the role so because this person’s job is actually to think about how to put them all as a single unit, and to make sure that the remote team feels as much a part of the family as the team in office. Someone once told Natalie that as CEO, her responsibility to the team was to make sure that the business is as successful as possible, and that she was failing them by not pushing the company to be more successful. This is something that business leaders probably get to hear very often. What they choose to do next is really what defines the culture of the company. She believes it is important to push this peacefulness to the team so that they make better decisions, and not let stress and anxiety fog their minds. The number of people telecommuting in the U.S. increased 115% between 2005 and 2015, based on data from the U.S. Census Bureau and the U.S. Bureau of Labor Statistics. We also have data that shows how much Millennials and Generation Z appreciate flexibility in work schedule. While there is no dearth of companies that can meet their demands, there have also been signs of bigger companies resisting this trend. For an organisation to have and support people working remotely is difficult, more so after it has grown beyond the initial startup phase. Why an organisation chooses to do so is crucial to whether it works or falls apart. It’s never enough having this flexibility as a talent-attracting technique, it needs to be integrated deeply into the company culture. I hope you enjoyed this article about how to successfully run a profitable, debt-free, and remote business.